Check out stats from this record-breaking day in PCS News! The MAAC works to create long-term solutions to the area's water quality issues. Showing the next generation the wonders of river life. Sign up for a CYS 365! We provide the supplies, you provide the volunteers -- clean rivers on your own schedule! 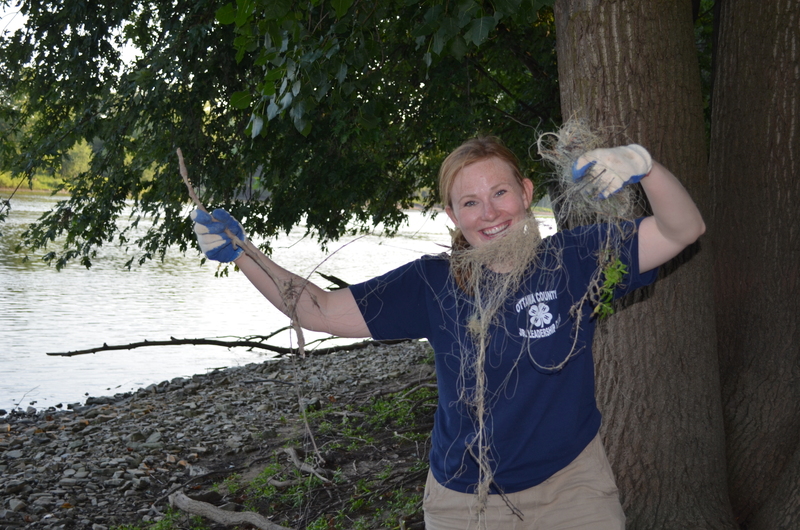 Help us rid the Maumee River of fishing line and lead! Check our website calendar for GLO dates. PCS is teaming up with the Toledo Zoo for their Spring into Action program during May and June. We will be hosting a series of six stream cleanups in the greater Toledo area to target sites that have substantial marine debris litter. These events are open to the public and to families of the Toledo ZooTeens who are interested in a conservation project. Register online or by calling our office at (419) 874-0727! The greater Toledo area is blessed with extraordinary rivers, creeks and lakes. We rely on these waters for recreation, drinking and for so much of what provides the high quality of life that we enjoy. From the tiniest creeks to the wide bends of the Maumee, these waters have shaped the identity, family traditions and landscape of our region. These waters connect us to each other through shared memories and experiences. At some point between skipping rocks and watching clouds along a river bank, the Toledo-area waterways become an unconscious-but integral- part of our lives. Join Partners for Clean Streams in celebrating our creeks, streams and rivers that connect us all. Love your rivers! Get informed. Become a member. Take action.